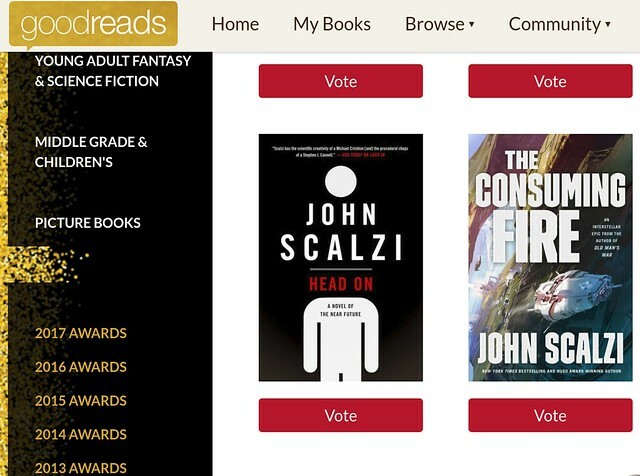 Well, this is somewhat unexpected: Head On was an opening round nominee for the 2018 Goodreads Choice Awards in the category of Science Fiction, but The Consuming Fire was not, mostly, I expect, because it just came out and hadn’t garnered enough reviews, etc to make it on the initial ballot. But people can write in favorites if they’re not on the first ballot, and lo and behold, on the semi-final ballot, both Head On and The Consuming Fire are present. 1. To the people who voted for Head On: Thank you! 2. To the people who wrote in The Consuming Fire: Thank you! 3. And now I expect them to split the vote and neither to make it to the final ballot. But that’s all right, getting two works on the semi-final ballot is a pretty neat trick and I’ll take it. So, again, thank you. If you would like to vote for either of these novels, or some other nominated science fiction novel (because there are many fine choices and you should vote for what you love the most), here’s a link to the 2018 Science Fiction Goodreads Choice Awards Semi-Finalist ballot. You may also, of course, vote in the many other categories as well. Which will I vote for? Well, I feel this would be trying to choose between my two children, as it were, so I will abstain from voting in this round. But don’t let my reticence stop you. Vote! Vote away! View From a Hotel Window, 11/5/18: Paris! That link to the voting just opens the picture again, sir. And congratulations! You might consider re-wording how you urge folks to vote — not all US citizens are eligible to vote. For example, someone who moved to an area too recently to register can’t vote today. Perhaps urge those who are eligible to vote to do so and those who are not eligible to become so for the next election? Or I might not consider it, since I think most people are aware that edge cases exist and it’s not worth my time to account for them. 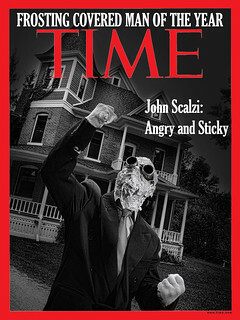 All politics are local.So vote, motherfrackers, vote! I voted for the Kowal. There are some really excellent nominees in the sci fi category alone. Personally I went with MRK’s The Calculating Stars because that was also my write-in vote and I was pleased to see it made the cut, but Head On was great too and it was a hard choice. Both are on my short list for ’18 Hugo noms, as is Becky Chambers’ Record of a Spaceborn Few and Martha Wells’ Artificial Condition in the Novella category. 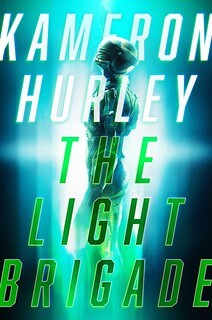 Catherynne Valente’s Space Opera…ohhh, I wanted to like it but in the end it went on my DNF list. I just couldn’t get into the writing style, but for someone else it might be right up their alley. Congratulations! I enjoyed ‘Head On’ and look forward to reading ‘The Consuming Fire’. Incidentally, a number of US states allow people to register at the polling station. I voted this morning in Arlington, Virginia (well, officially, Falls Church, but the other side of the street is Arlington). Correction: The date of that specific issue of Warren Ellis’ “Orbital Operations” newsletter is October 28. And congratulations on the Goodreads nominations! Congrats, John. Who knows? If you work real hard you might just make it as a writer.